Small-sized unit deters the mightiest bark. Your dog will quickly learn the association and stop the unwanted behaviour. Self adjusts based on the dog’s barking habits. 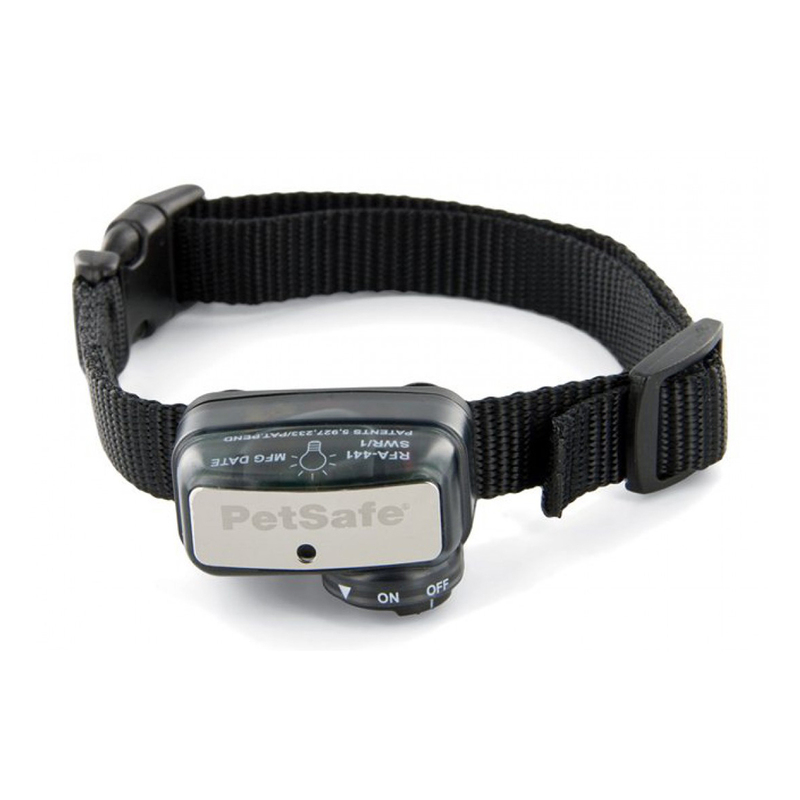 The PetSafe Little Dog Deluxe Anti-Bark Collar uses several features designed to shorten the training phase and promote good behaviour. The Deluxe Anti-Bark Collar uses both vibration and sound sensors (dual-detection) to discriminate your dog's bark from other external noises. A static stimulation is administered through the contact points only if both vibration from the vocal chords and sound from the bark are detected. Using a patent pending Temperament Learning System, the Deluxe Anti-Bark Collar tracks the number of stimulation instances needed to substantially reduce (and in most cases eliminate) the number of nuisance barks.